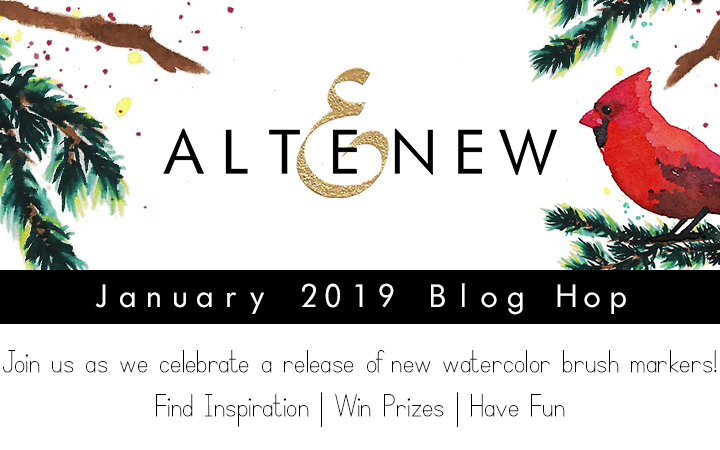 Hi there and welcome to my stop on the Altenew January Release Blog Hop! Today I’m working with the NEW Winter Wonderland Watercolor Brush Markers — color me impressed with these colors, especially the metallic silver! Now on to my card — it uses ALL of the colors! This card came together super fast, all thanks to the new markers and the Magnolias for Her stamps and matching dies! I thought I’d take a minute to highlight a few details for you, starting with the silver marker that I used TWO ways! I love making backgrounds like this because they don’t have to be perfect — or even complete — since the flowers cover it up. It’s a great way to see how the marker handles and get some practice in! I discovered that the silver really pops against the navy cardstock, right? I was like whoa! And then! I used it along with the jet black marker that’s also in the set to color the gray flower for a more subtle shimmer. Love. 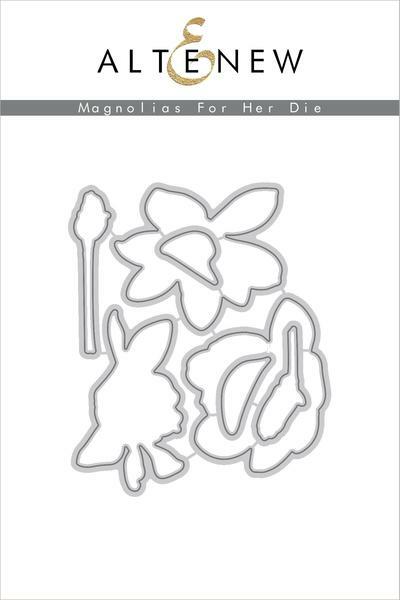 The pink flowers were colored with ruby red and rouge — I used the flowers on the packaging of the dies as a guide! There’s also touches of citrus burst in the centers. Then I added a trio of buds using Persian blue and touches of jet black. Finally, the leaves are a mix of mountain mist, emerald, and lagoon. Love how soft that mountain mist is. PS. If you’re new to Altenew Watercolor Brush Markers, check out this technique post where I have a video for you! Altenew is giving away a $40 gift certificate to SIX lucky winners! They’re so generous! 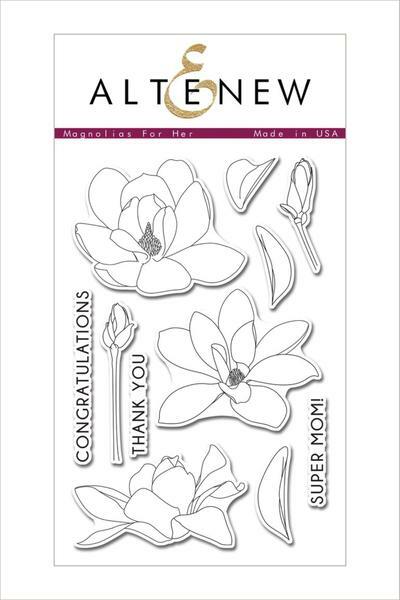 Please leave a comment on the Altenew Card Blog and/or Altenew Scrapbook Blog by Wednesday, January 16th for a chance to win. 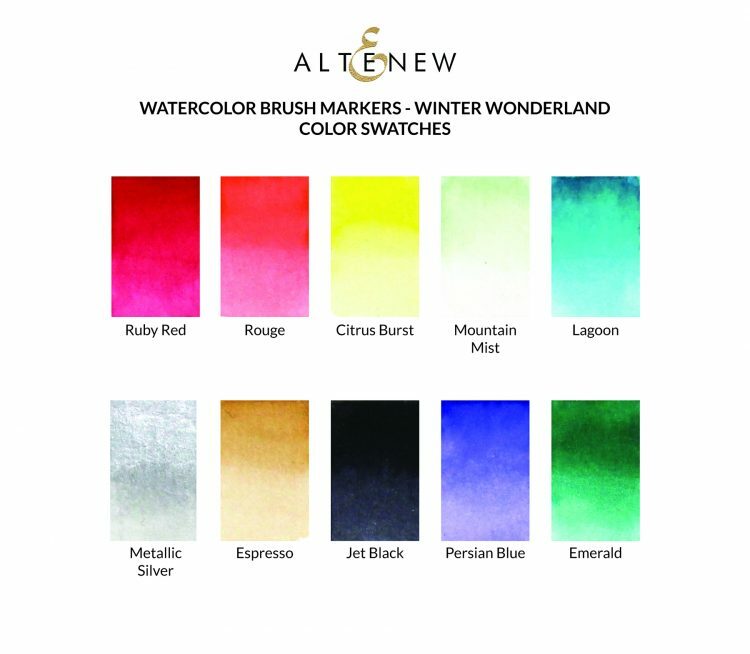 Six winners will be announced on the Altenew blogs on 1/19/2019. Leave a comment HERE on my blog by January 15th for a chance to win a $20 gift certificate. I’ll choose a lucky random winner on January 16th. UPDATE! The lucky random winner is Danielle Dietz! Congratulations!!! If you’ve been following along with us already you’ll have arrived here via Laurie Willison’s blog. If you’re just now joining us or encounter any broken links you can always head on back to the start at the Altenew Card Blog. Your next stop is Zinia Redo’s blog— I can’t wait to see what she’s made! Note: These are my affiliate links, so if you make a purchase by clicking the link I’ll receive a small commission at no charge to you! [AN] links to the Altenew Shop and [EH] links to Ellen Hutson. Thanks so much for your support! 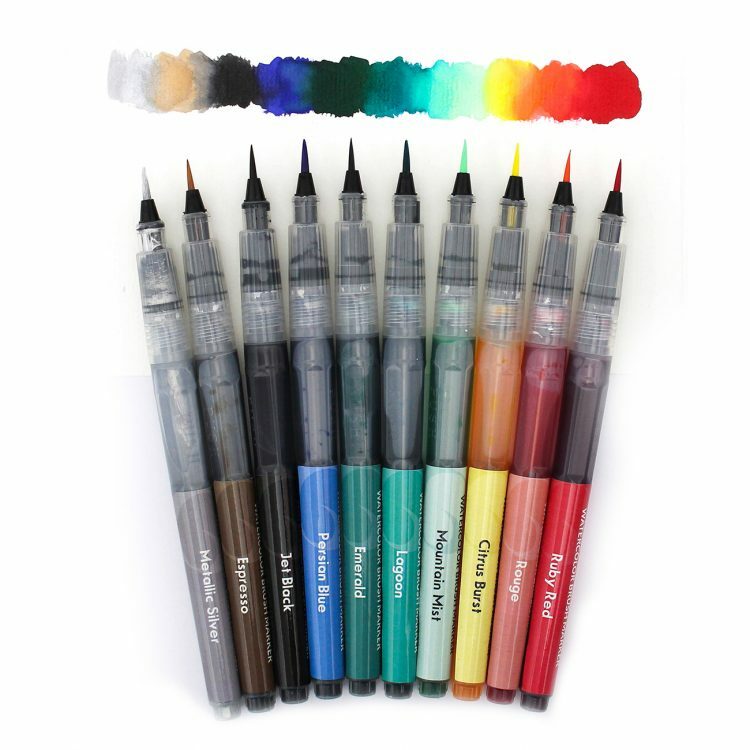 Create stunning works of art with our Watercolor Brush Markers! The barrel is filled with water-based color, and coordinates with our line of inks. The flexible, yet sturdy bristles on the brush tip allow you to form both broad and fine strokes. Color can be applied straight from the marker, or diluted with water for a softer look. I love the jet black color! Blacks are so pretty. and your card…amazing! Great use of the silver pen and I love your dark background! I’m intrigued by that silver one now! 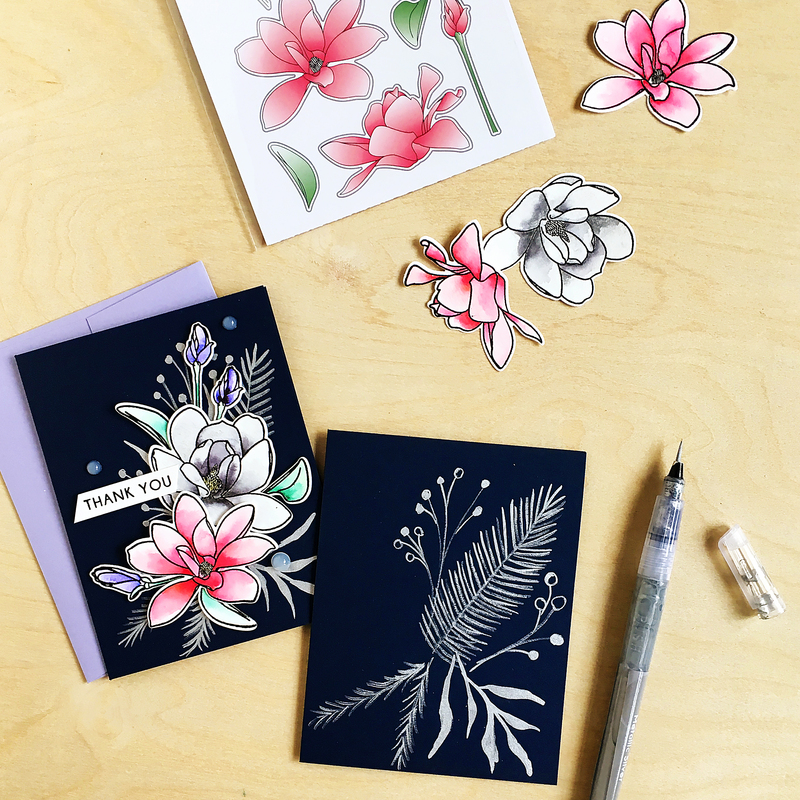 I dig the magnolias on the dark blue/navy cardstock! How original and so fresh to see when most put their backgrounds on white; kind of a nice winter change. Plus you used the silver marker and I first thought it was white; it is very stunning on the navy. A great combo. Thanks for the inspiration! Beautiful flowers. They really pop on the dark background. Beautiful card! I like the different ways you used the metallic silver, very pretty. Thanks for sharing! Beautiful card- I love that silver background! So cool! Gosh, at first glance I thought you had stamped the background, a very lovely card. This is so pretty! I love the background that you drew. You are very talented. Your flowers look lovely. Love how beautiful and rich those flowers look against the darker background. 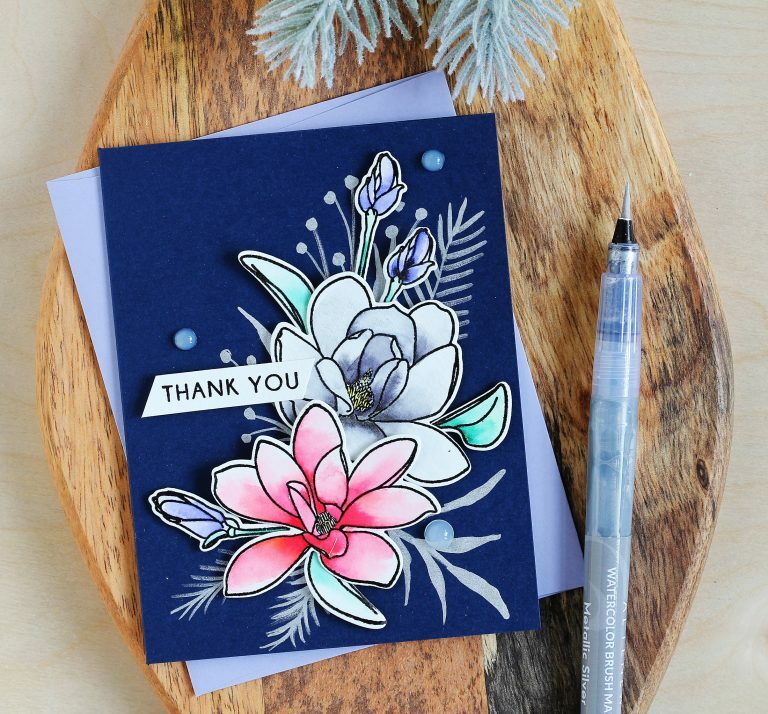 I love the navy background- the flowers and the silver marker really pop against it! WOW! What a gorgeous card! 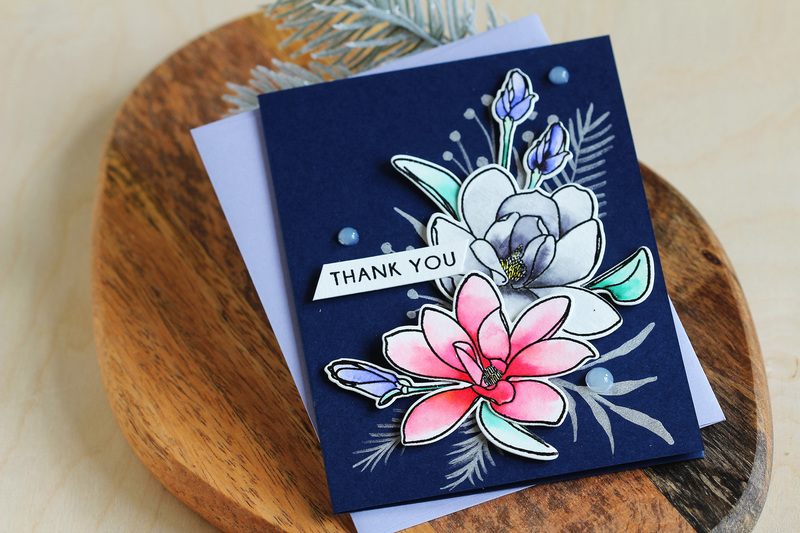 I love that you used the silver to do the sketchy background – it really stands out on the navy cardstock! So do all the beautiful flowers! Thanks for the great inspiration! Your card is lovely. I like the way you used the silver marker to create the background. Thanks for sharing. Such a beautiful card! Just amazing.. Thanks so much for sharing..